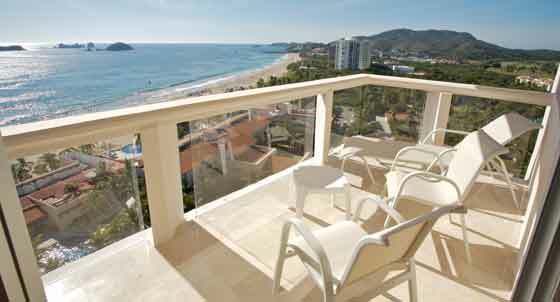 More thoughtfully developed, first rate and tastefully contained, Ixtapa is a welcome relief from your average coastal resort town. 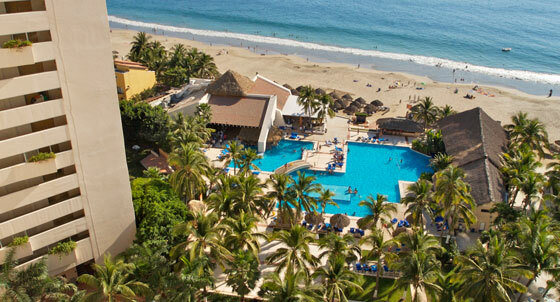 Ixtapa is a stretch of hotels along the beach, a marina, and a stunning meeting of land and sea. 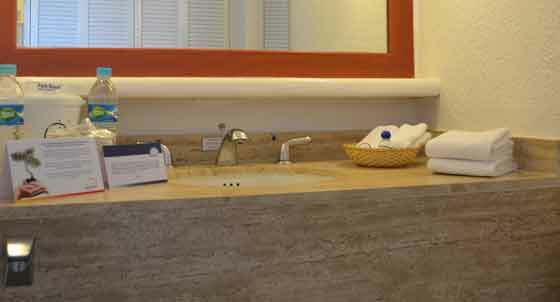 10 minutes away, there's a full service, charming Mexican town and the airport just a little further. 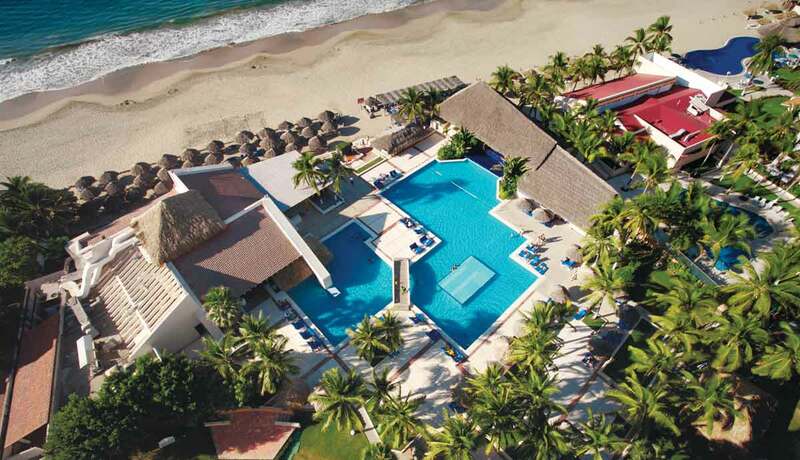 The Park Royal Ixtapa is at the very center, with 228 luxury guest rooms, three fantastic restaurants and four onsite cocktail bars and lounges. It's on the beach and with a quiet lane of specialty shops and an enormous crafts market just out back. 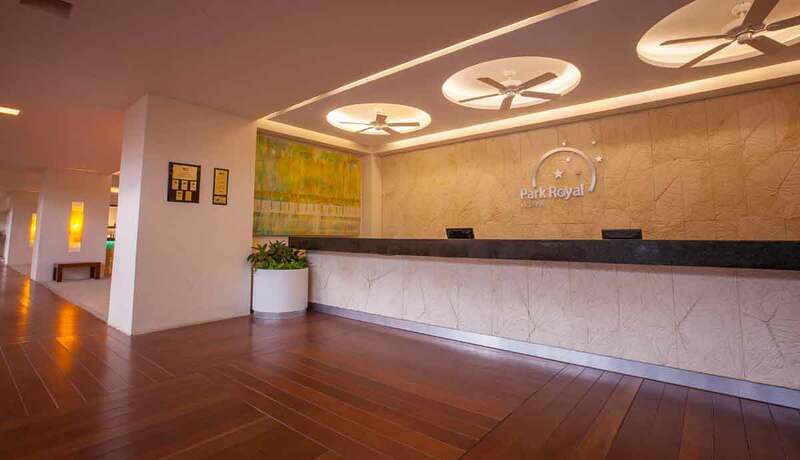 The premier All-Inclusive, the Park Royal Ixtapa welcomes guests from all over North America and every other corner of the world. It's as relaxing and thoughtful a vacation as you've ever experienced. 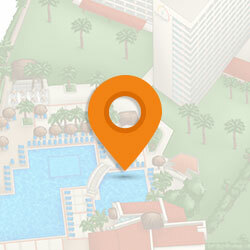 You can literally visit every area of the hotel and grounds and leave your wallet locked safely in your room. 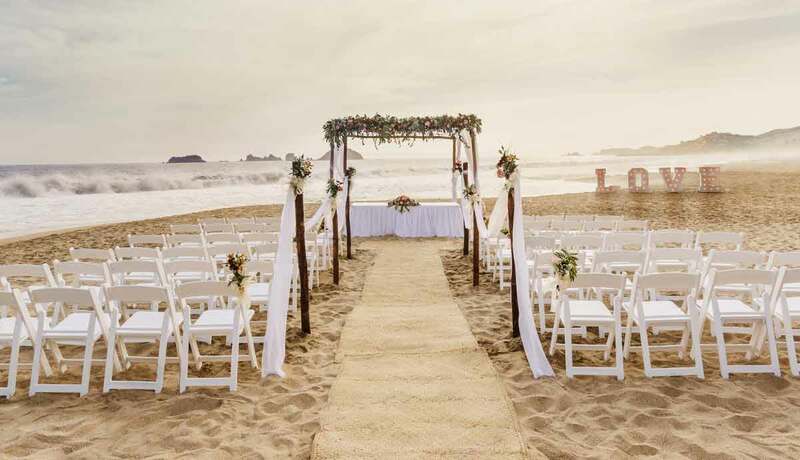 Within easy walking distance of Ixtapa's hotel district are two championship golf courses, tennis, horseback riding, and miles and miles of beach. Right on the hotel grounds, you've got water aerobics in a magnificently over-sized swimming pool, cooking classes, Spanish classes, beach & pool volleyball, diving, sailing, snorkeling, para-sailing and a whole list of entertainment & activities for adults & kids. 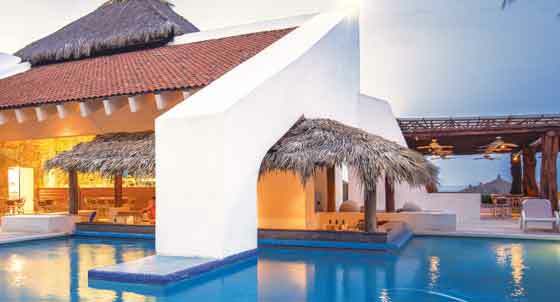 These can include bike tours, yoga and snorkel lessons (in the pool), trips to pet the dolphins just up the beach, and sand castle contests! To take all of this in you might need the massage service, but we've got you covered there, too. 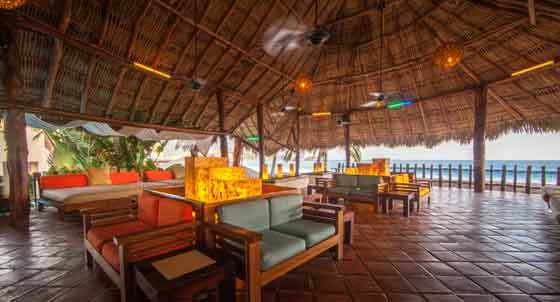 We set the standard in Ixtapa, and we set it higher. 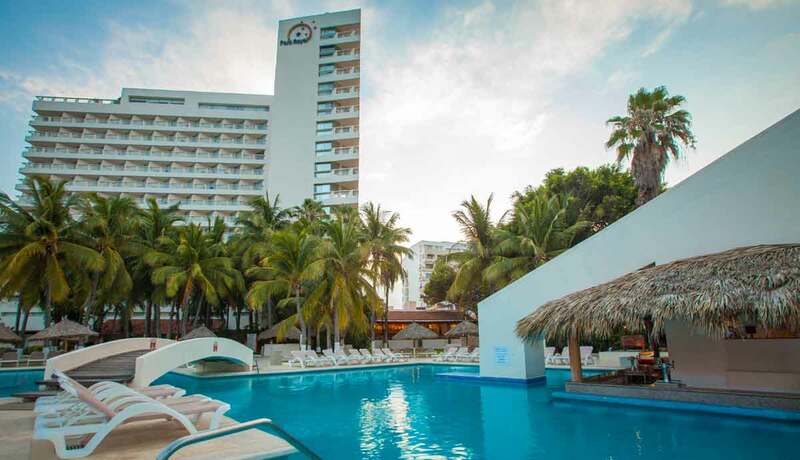 The Park Royal Ixtapa is well known for comfort, outstanding service and a beachfront location that includes absolutely everything you want in a holiday. With two ultra comfortable, luxury hotel beds and deluxe hotel bedding, a very limited number of king rooms are available upon request. Each is equipped with a 27” cable TV, fully adjustable air conditioning, secure electronic key and a warm granite and marble bathroom as well as a furnished balcony. Every room is far above your standard hotel room. Complete with a hair dryer and radio alarm clock, iron/ironing board and strong boxes are also available. 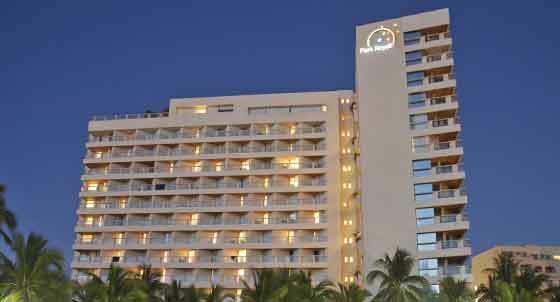 Ocupación máxima: 4 guests per room including max 2 children. Take a luxury room up another notch, and you've got a luxury room with a knock-out view of the ocean. Each is complete with a private balcony and two ultra-comfortable luxury padded hotel mattresses. A select few guest rooms are available with a king (shown). With shower-tub combos, spotless warm marble floors and enough space to really enjoy, each guest room is equipped with 27” cable television, secure electronic key and fully adjustable air conditioning. There's also a hair dryer, radio alarm clock, and optional iron & ironing board plus a strong box in every room. This pleasant sea view room is ideal for loving couples, in a relaxed, private environment. 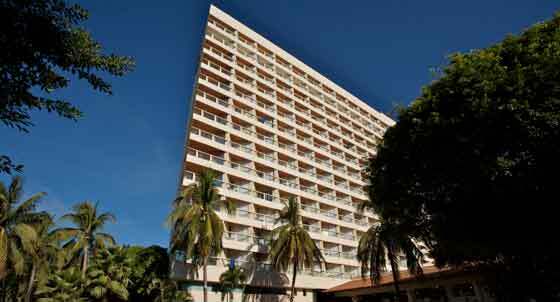 It is equipped with modern services and amenities. It includes special decoration, chocolate strawberries, and a bottle of sparkling wine. 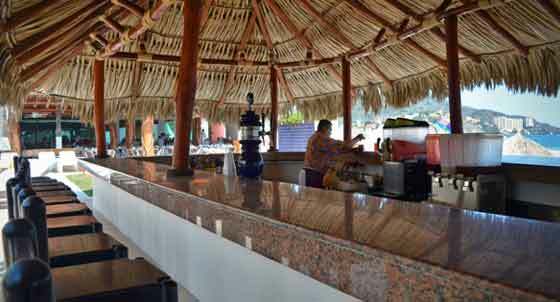 La Veranda restaurant is a focal point for every Ixtapa vacation we host. Meals are of exceptional quality and variety; fresh, piled high and with something for even the most finicky eaters. Some of the best chefs in Mexico train for years for a position stocking our buffet and butcher board with unique, delicious and constantly changing meals. Themed evenings mean dinners always include something different and there's plenty of room for impromptu meetings, and vacation brain-storm sessions. A spectacular variety of seafood served to bracing views of the Pacific, El Pescador is the Park Royal's afternoon lunch hotspot. From a beautiful shaded terrace overlooking the sea and the main swimming pool, El Pescador is one of our premier eateries. Always fresh from the sea, the lunch buffet is complemented by an a-la-carte menu that features shrimp, lobster, oysters, crabs and a catch of the day that has inspired entire vacations. The real Mediterranean never had it so good. Italian specialties are served up a-la-carte and nightly at El Italiano. 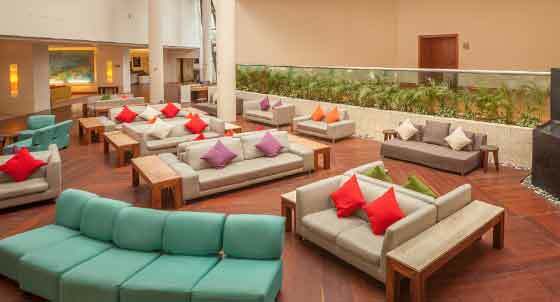 Carefully selected seasonal dishes complement a rotating menu and they compete with an endless desserts buffet. "La dolce vita" still goes best with plenty of wine and a shot of expresso. 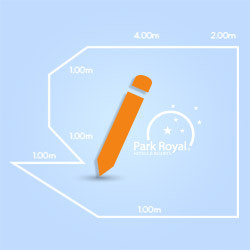 Sunday and holidays from 1:00 p.m. to 11:00 p.m.
We have live music from 8 p.m. to 11 p.m. during weekends and high season. Open late, the Chill Out Lounge is the perfect place to make a late night splash, with happening DJs laying out the tracks you love. For adult guests only. 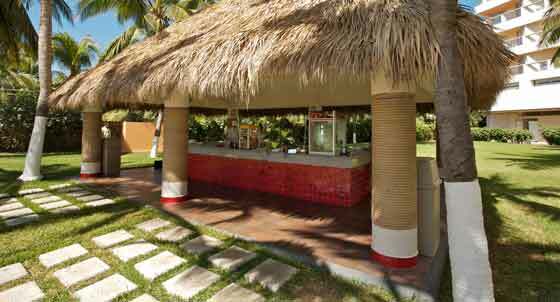 A welcome shady spot on the deck of the main swimming pool, there are plenty of cold drinks, beach views and refreshing breezes. With tropical music and lots of buzz, La Langosta offers all-afternoon swim-up drinks, entertainment and music from the main swimming pool. For any social or business events we have at your disposal a room for conferences room as well as attractive areas outdoor. 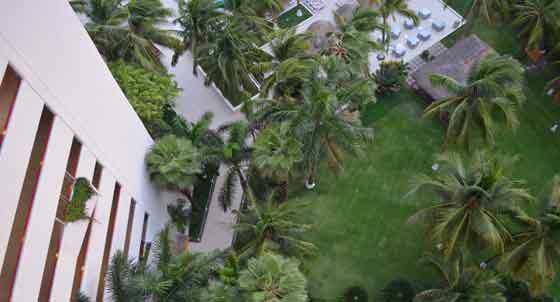 Luxury rooms with ocean or garden views and all the comforts. 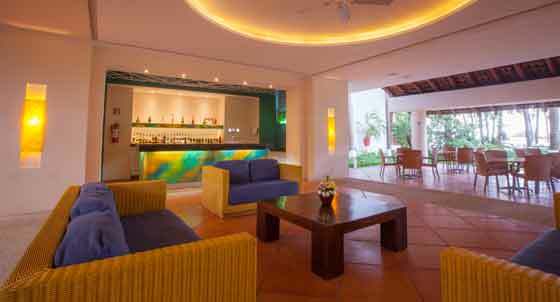 Wi-Fi Internet access, flat screens, projectors, audio/visual equipment and lighting. 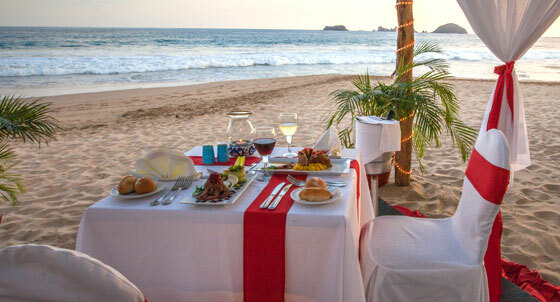 Ixtapa is a city that offers world-class hotels and the quaint atmosphere of a fishing town in the Pacific. You´ll love it. You can make your payment via bank transfer prior to the event; or pay at the front-desk with a credit, debit card or cash in Mexican pesos. 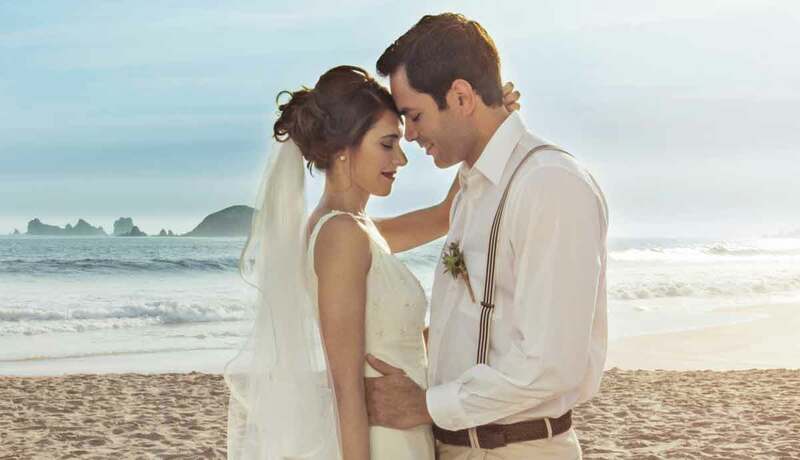 Because we know how much your wedding day means to you, we help you make it come true.